What are the Money Making Secrets and the secret to making money in the stock market? 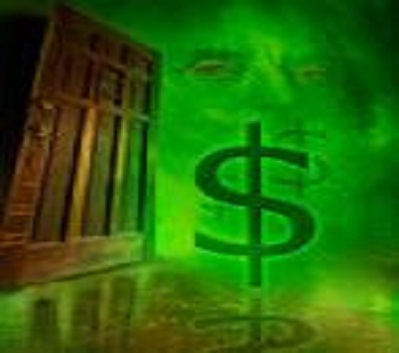 Money Making Secrets #1; money is your servant and your tool; You are the master of money, money is your servant! What is your attitude toward money? How does the volatile nature of the world’s economy affect you? Is money your master or your servant? Perhaps you do not experience the symptoms of the so-called money sickness syndrome. Still, whether wealthy or poor, we are all vulnerable to the ill effects of money worries. Consider how adjustments in the way you handle your finances may bring you more peace of mind and a happier life. Money in itself is neither good nor bad; it is simply dangerous in that the love of it may become bad...this is greed. I am aware there are books that claim to have all the money making secrets and they instruct you on how to manipulate the market, stocks and people...they might even help you get money. But, let me caution you...when there is no spiritual growth...there is no spiritual strength...there is no lasting happiness...and, there is no real or lasting wealth. With money a person can do much good; and with money he can do much evil. With money a person can selfishly serve his own desires; and with money he can generously answer to the cry of his neighbor’s need. The love of money is the root of all kinds of evil. Some of us sacrifice our families for the love of money. We’re working two and three jobs trying to get rich, with no time to invest in the lives of those we supposedly love. Money is a tool that can bring freedoms to your life, but money by itself is worthless. Focus on what money can bring to you and your family, do not allow it to take control...you are the master, it is your servant. This is the most important money making secret of all. 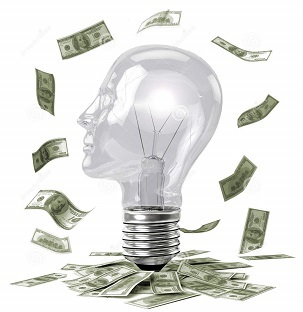 Money Making Secrets #2: Money is an idea. The actual paper form is just that, paper with ink on it. It represents money, but is not money……it is the result! Money is an idea; it has to do with consciousness. Money in abundance should only represent a part of your abundance in your life. If you want money, ask for abundance in all areas of your life. However, you must sow before you reap…..action is required. Money is a medium of exchange, you must be the Master, and money is the Servant. Wealthy people do not focus on the problem, rather the cause of the problem. They will immediately begin to brainstorm with others (Mastermind Group), about new crops they want to harvest in the future, and where they should be sowing. Wealthy people who go broke because of bad decisions etc., will make it all back, because they have Prosperity Consciousness! Money cannot stay with a person who has Poverty Consciousness. That’s why when they win the loto, they lose it all quickly. On the other side of the coin, money cannot stay away from a person who has Prosperity Consciousness. Look at your results, and that will tell you your consciousness. If it is Poverty, you must turn it around; study the patterns in your life. This is a timeless money making secret. 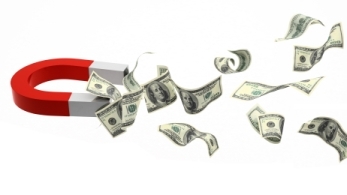 Money Making Secrets #3; Money is magnetic energy. You are a magnet attracting to you all things, via the signal you are emitting. Be clear about the amount of money you want to receive. State it and intend it! Don’t think about how much you can earn, but how much you want to receive. If you want to attract money, as explained in the Abundance and Prosperity page, you need Prosperity Conscience. Poverty Consciousness causes a person to see, hear, smell, think and feel lack and limitation. Talking about lack and tough times is poverty consciousness and you will just attract more of it. As you sow, so you must reap, and therefore, the resulting harvest is one of lack. The results control people with poverty consciousness, and they keep reaping the same harvest, year after year. People with Prosperity Consciousness do not blame when they fail. They take accountability, and learn from it. They do not think or talk about lack, because their Prosperity Consciousness will not permit it. Your mind is the source of the money making secret, is equipped with the natural ability to attract as much money as you want and need — at anytime, anyplace, in any financial climate, without struggle. You just have to know how to trigger it. A very important point, is when you no longer feel the "need" for money, that is when money will flow to you. The feeling of "needing money" comes from the thought that you don't have enough, and so you continue to create and attract not having enough money. Never talk about or think about NOT having enough money as you will continue to attract "not having the money." You are always creating, and when it comes to money, you are either creating the lack of it or the abundance of it. From this point on, the focus is to create a higher Prosperity Consciousness, raise your Vibrational Frequency, and prepare for the abundant harvest. Always think & talk about abundance, as if you have it now!! Visualize that you are already wealthy and a profitable stock trader! Congratulate yourself for being a successful trader and being wealthy. "Money from the stock market flows to me"
”I radiate and attract whatever I choose to accept. I now choose to accept the highest and best in life. I now choose and receive the best health, success and happiness. I now choose to accept lavish abundance for myself and all." These are money making secrets. But remember, money is just a tool to get what you want, never let it control you, you must be in control of it. You are the master of money, it is your servant. Law of Attraction expert and speaker on The Secret, Bob Proctor, has two excellent resources for you to learn how to create the money attraction vibrations into your life. In 1960, he was a high-school dropout with a resume of dead-end jobs and a future clouded in debt. Bob's life literally spun on a dime. In a year, he was making more than $100,000, and soon topped the $1 million mark. Bob Proctor now travels the globe, teaching millions of people how to believe in and act upon the greatness of their own minds. The first resource is The Science Of Getting Rich. This audio features Bob Proctor in front of a live audience delivering his core seminar on the secret law of attraction and the science of getting rich. This audio will help you to expand your possibilities, think outside the box, become a money magnet, overcome negative money beliefs, and much more. After experiencing this program, you'll have an even bigger dream, and new level of belief in making it a reality and understand the mind and money making secrets. After working through this system, you will have a crystal clear picture of how to scientifically attain wealth. You will study the primary cause that underlies all wealth creation. The second resource is Be A Magnet To Money. This audio is co-taught with Michelle Blood. Michele produced and hosted “Michele’s M-Power Show”. M-Power is a self-improvement talk show on which Michele interviews the world’s leading experts – from music and children’s topics to health and business. This audio will give you the Tools to begin to attract Money and Success. This is for the individual who truly wishes to learn how to manifest success and prosperity into their life, beyond the Law of Attraction and who also wish to delve deeper into their Divine Nature and Soul's journey and purpose. Learn The Science Of Your Mind To Attract Wealth! Learn To Attract Money and Success! 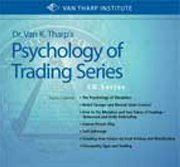 Return from "Money Making Secrets" to "Stock Market Trading Psychology"
Return from "Money Making Secrets" to the Home Page: "Stock Market For Beginners"